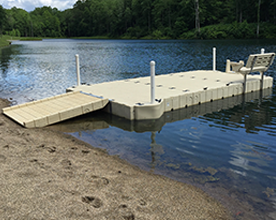 Deaton’s Waterfront Services will design, consult, permit, and install all materials need to build your custom boat house setup. Boathouses can include dock surface, roof system, boat storage areas and accessories. At Deaton’s Waterfront Services, we believe that owning a boathouse is the same as owning a home on the water. They can include many types of furnishings including bars, kitchens, or possibly even living quarters. A boathouse will be your home away from home! Owning a boathouse is a permanent solution for docking. 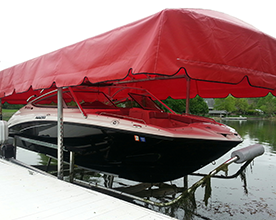 Your boat will be safely stored throughout the year, leaving you with no worries. 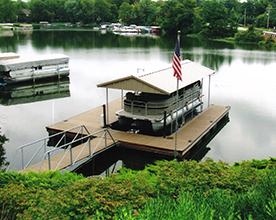 Whether it is stationary or floating, a custom built boathouse will fit your needs perfectly. 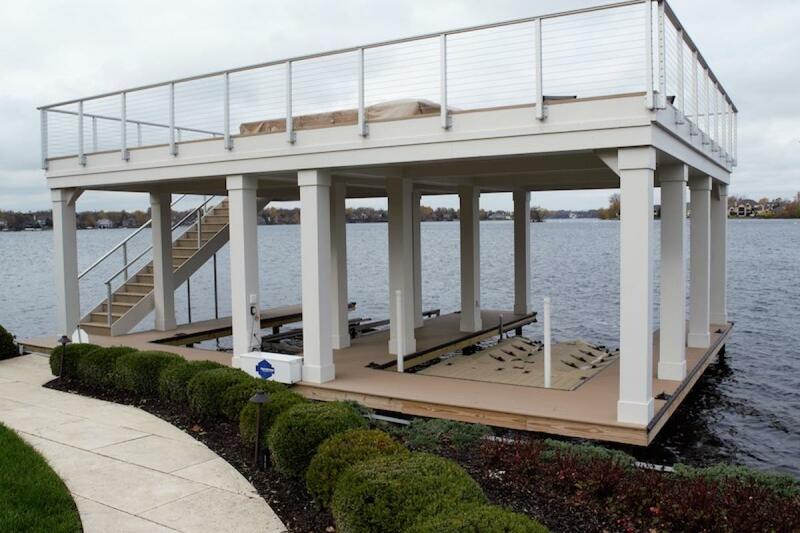 No more worrying about storing your boat for the winter, just simply purchase a boat house lift and your boat will be in the same condition you left it. 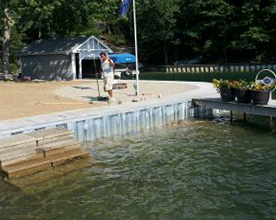 If you are interested in building a boathouse, feel free to contact us or give us a call at (317)747-4933. Our team of skilled experts will work with you to determine what is necessary to build the boathouse of your dreams!